Postcard TW-1105414 from Taiwan shows a beautiful sunset view of Orchid Island (蘭嶼), a volcanic island in Taitung County off the southeastern coast of Taiwan. The island is home to the aboriginal Tao (達悟族), an ethnic minority group who migrated to the island from the Batan Archipelago 800 years ago. Out of a total current population of 4,000, approximately 2,400 belong to the aboriginal Tao, who are Austronesian people linguistically and culturally closer to the Ivatan people of the Batanes islands in the Philippines. The rest 1,600 are Han Chinese. The island has been a nuclear waste storage site at its southern tip since 1982, with 100,000 barrels of nuclear waste from Taiwan's three nuclear power plants. Following years of protests by local residents since 2002, demands to remove the nuclear waste have intensified after the Fukushima nuclear disaster in Japan in 2011. 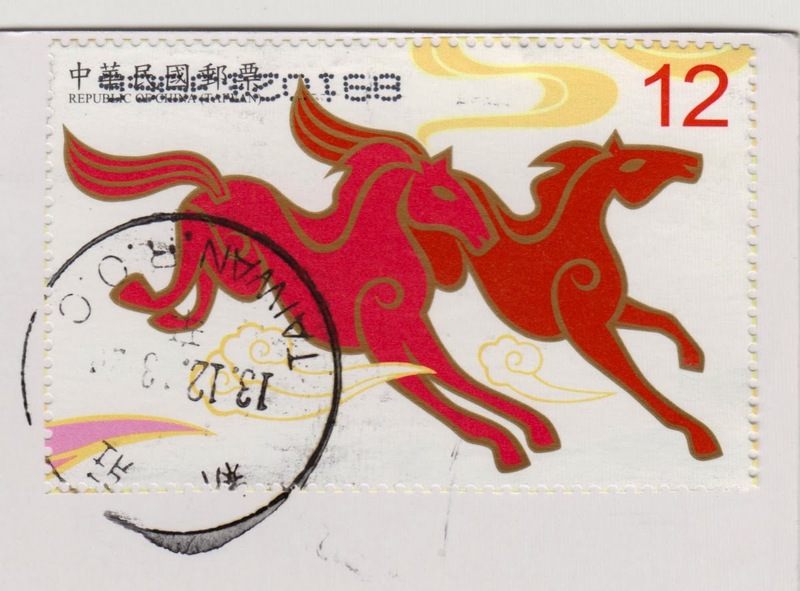 The card came with a newly issued the Year of the Horse stamp by the Chunghwa POST.